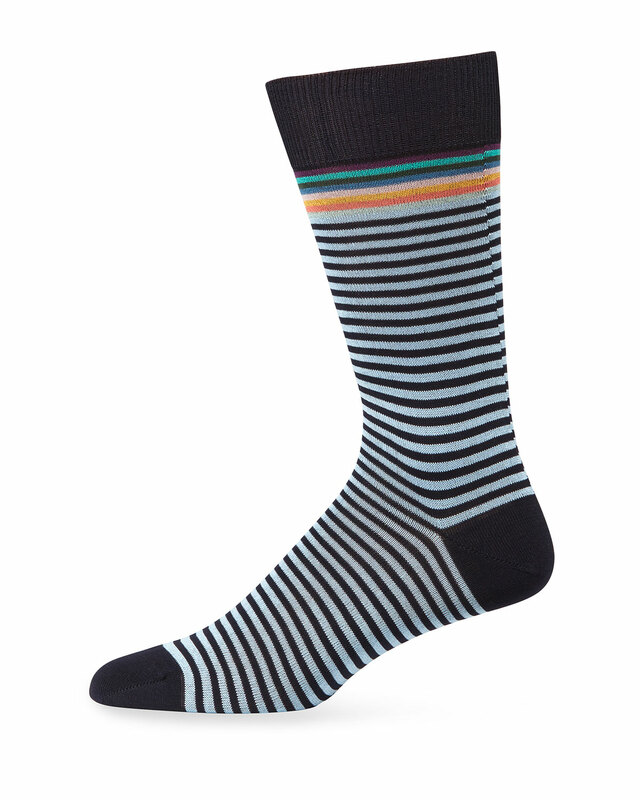 Fun and stylish these colorful socks by Egara feature standout modern patterns that will complete your look. Paul Smith three-pack of patterned socks. 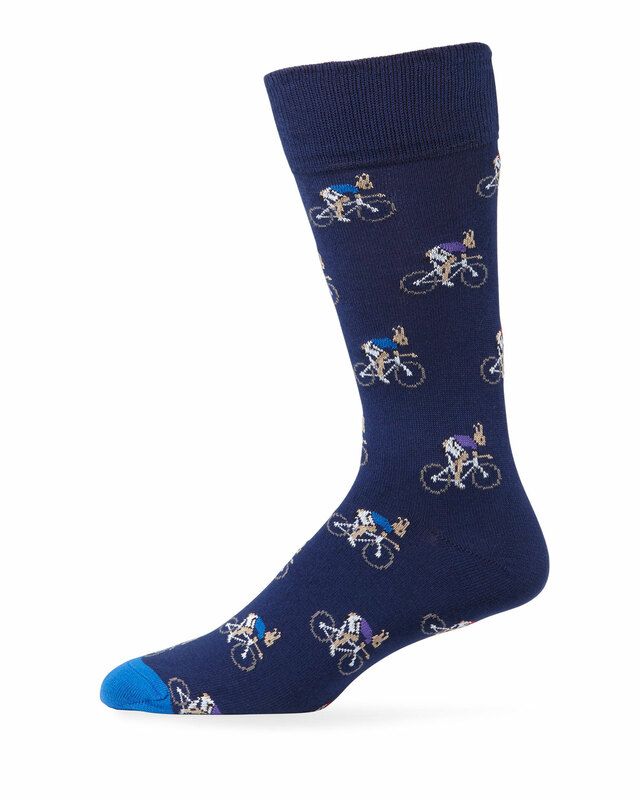 Paul Smith socks in rabbits on bicycles motif. Complete a modern dress or dress casual look with these fashion forward dress socks by Zanzara. In a thin and comfortable cotton blend with a touch of stretch these socks feature colors and patterns that are trend forward. In a smooth rayon-blend made from durable bamboo these medium weight dress socks feature a subtle woven pattern. Add the finishing touch to your look with these stylish dress socks by Joe’s in colors and patterns that coordinate with your modern wardrobe.